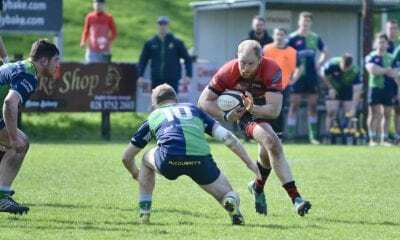 City of Armagh came away from Naas on Saturday with two valuable league points but were slightly unlucky not to have five. 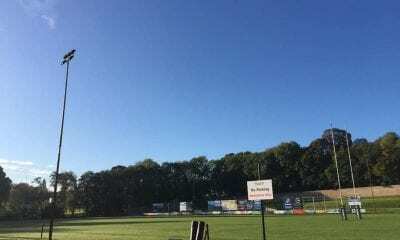 Having lost the toss, Armagh had to play with the wind and slight slope in the first half which was punctuated by a number of breaks for injuries to the Naas team. Armagh started brightly but could not break down a resolute home defence, hammering at the Naas side for most of the first half. Out-half Cormac Fox had an early opportunity after 7 minutes to put Armagh into the lead but he dragged a 45 metre penalty wide. In a ten minute period, Armagh managed to give away five needless penalties for high tackles, holding on in the breakdown, entering the ruck from the side and crossing. 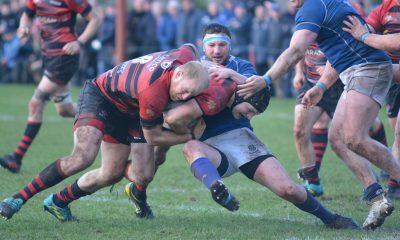 Armagh lost momentum and after another penalty for a collapsed scrum, Naas levelled the score through full back, Peter Osborne on 38 minutes. Remarkably this was the first time Naas had got into Armagh territory. 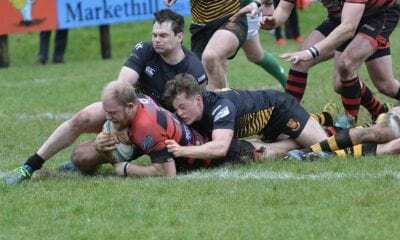 Armagh continued to press though and they were rewarded when number eight, Neil Faloon charged down a clearance kick and reacted quickly to dive over close to the posts. Fox chipped the conversion over to give Armagh a 10-3 lead. Many of the locals and indeed the Armagh supporters, doubted whether this narrow lead would be enough with stronger wind and rain threatening in the second half. Half-time Naas 3 Armagh 10. 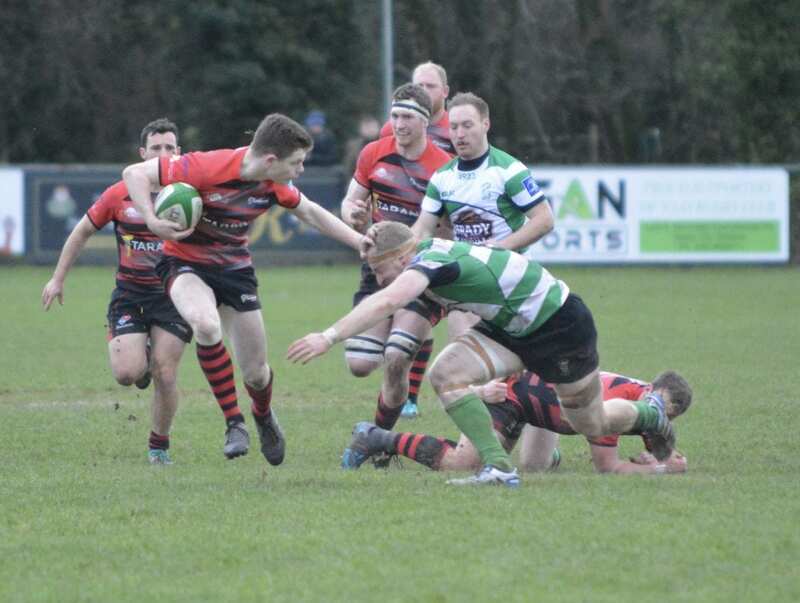 It was City of Armagh who started off better in the second half, when they took the game to Naas with some superb interchanges between forwards and backs. On 46 minutes, Armagh increased their lead to 3-15 when centre, Chris Cousins broke through the Naas defence to score a try in the corner. Fox couldn’t convert the difficult conversion but Armagh had now their tails up. 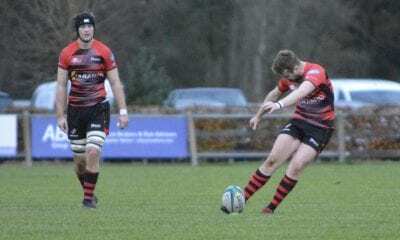 Repeatedly however, they got on the wrong side of the referee to concede more penalties to give Naas some hope and Osborne slotted over two kicks to reduce arrears to 9-15. For the second penalty Josh McKinley was yellow carded for not rolling away from the tackle and Naas were back in the game. 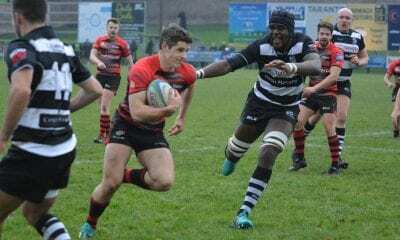 The referee however was consistent in the next decision three minutes later, when he sin-binned the Naas winger for a similar offence. 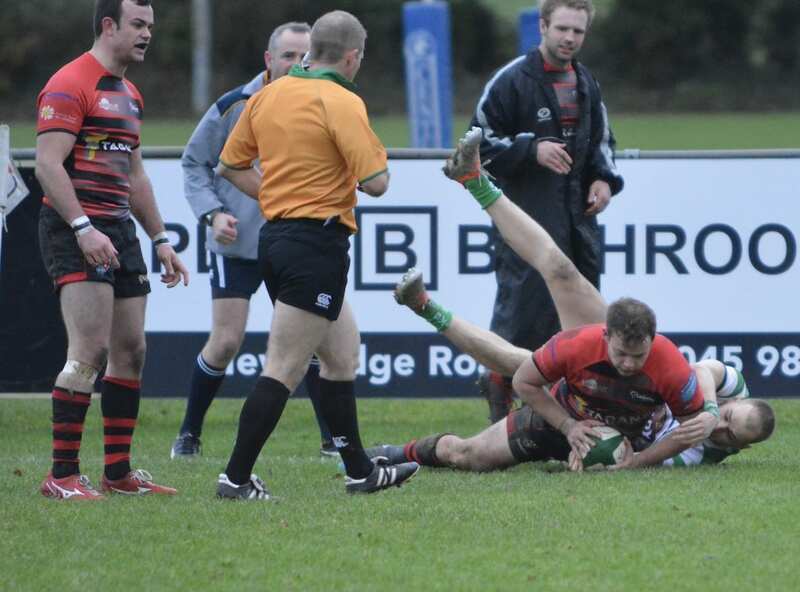 Fox stretched Armagh’s lead to 9-18. 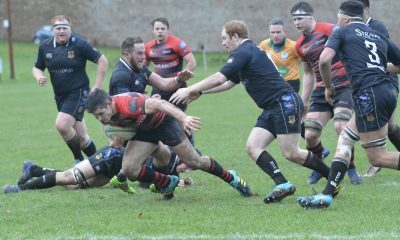 Naas refused to lie down and after a break in the centre, out-half Peter Hastie scored a converted try to reduce Armagh’s lead to 18-16, with an exciting finish on the cards. 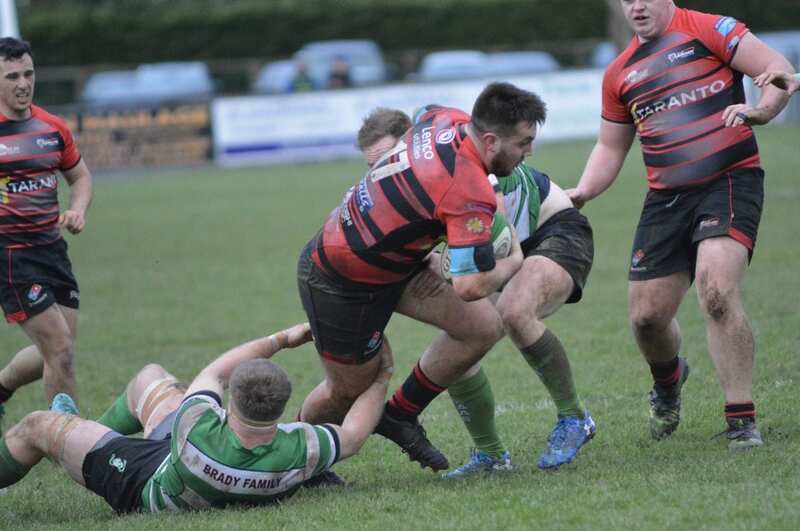 In a game of high drama, Armagh came back with another try by fullback, Ryan Purvis in the corner to stretch his side’s lead to 16-23. Fox couldn’t convert the very difficult conversion, but Armagh were playing now with confidence and should have increased their lead when Shea O’Brien was tackled magnificently in the corner to prevent a try. A score at this stage would have sealed the result, but Naas took heart and scored a good try of their own through Conor Doyle. With Osborne in good kicking form he levelled the score at 23-23 with five minutes remaining. Armagh had one more attack, but the chance was lost with a knock on. Naas threw everything into attack for the final two minutes, looking for a winning score. Armagh’s defence stood strong and a magnificent steal at the final lineout close to their line, saw the full-time whistle sound with both teams sharing two points each. The result meant Naas remained in third place in the league table and Armagh dropped to sixth. All in all, this was probably a fair result but the Armagh coaches felt that with a bit more luck, they might have come home with the maximum five points. It was pleasing to hear the sizeable travelling Armagh support cheer their team off the pitch. As far as the team went, there were good displays from the forwards and the lineout and scrum performed well. It was good to see strong performance also from the bench where Nigel Simpson and Oisin Kiernan carried well and Jonny Morton tackled like a demon. In the backs, there were sound performances from the half backs and three quarters and Ryan Purvis showed ambition at full back. Scrum half, Gerard Trainor was also sharp when introduced later on. 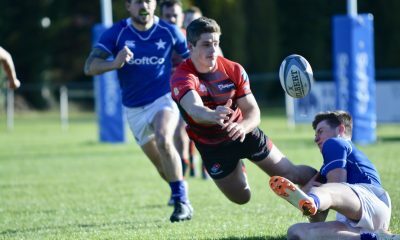 The team now get a rest for 13 days when their next game will be at the Kingspan Stadium on Friday, February 8, in the First Trust Senior Cup Final. Saturday’s game will give the coaches something to think about in the coming days.